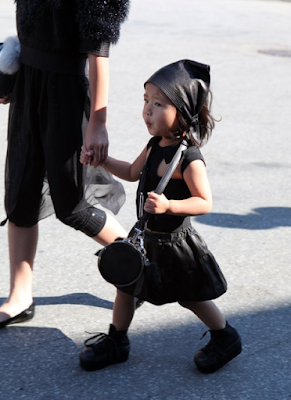 Imagine being Alexander Wang's little niece! While other girls are getting dressed in cute little pink frocks with bows and ribbons, Alia is in head-to-toe leather and studs! Forget Suri, real fashionista in making is Alia Wang. This little girl, by osmosis alone, is gonna be fashion's next big force. Now imagine her wardrobe in 10 years... I'm green with envy. I'm like a dog with a bone with Rag & Bone! Look of the day: Olivia Palermo in Zara Dress!